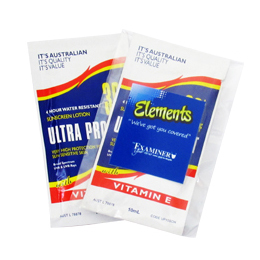 Sunscreen Packets are custom printed sunscreen sachets which are a great promotional giveaway idea. Perfect for outdoor or sporting events to promote sun safety and sized for convenience. The satchets can be easily distributed via mails outs or handed out at events. Decorate with a full colour digitally printed label with your own corporate logo. Hi Bongo – just letting you know that we have received our shirts and I wanted to give you our feedback. Everyone loves them. Thank you so much in helping us complete our work shirts. It was a really hard design and we really appreciate all the hard work you put into making it perfect. The artist of the design was very happy with the outcome. Well done to your team. Thanks again.